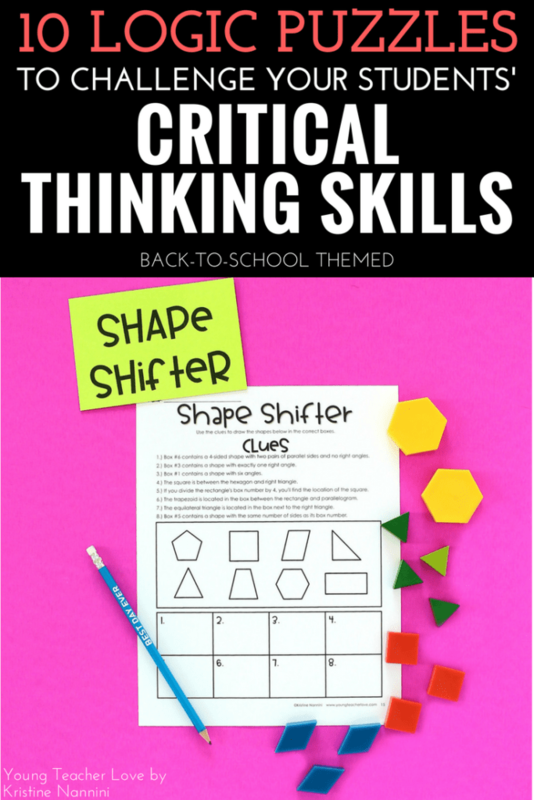 For the most part, reasoning, deducing, inferring, and critical thinking are not skills that come naturally to our students. Rather, they must be nurtured and developed. 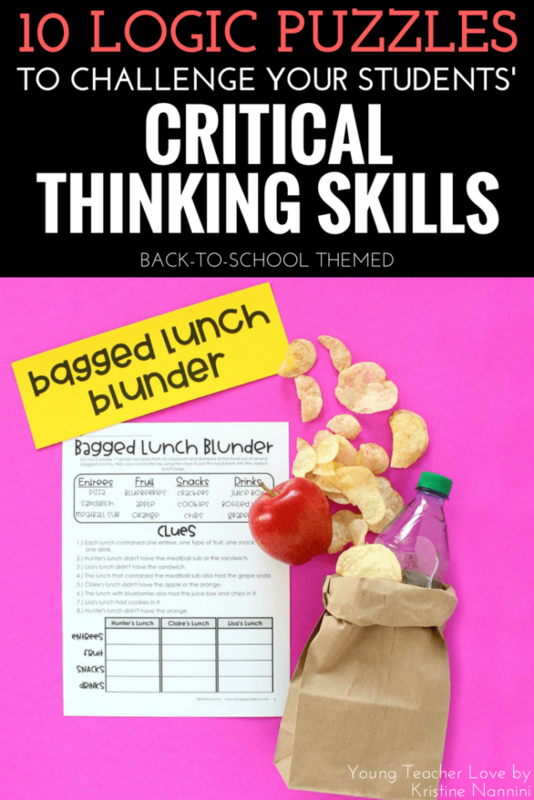 We want our students to become critical thinkers so they can reason and apply logic to solve novel problems throughout their lives. These skills will set them up to be the scientists, engineers, researchers, and educators of tomorrow. Unfortunately, these skills are often lacking in many of our students. 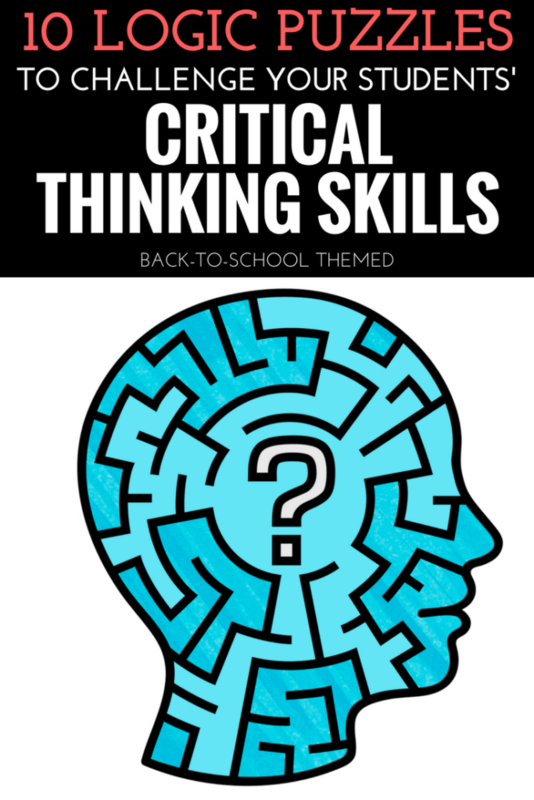 Research shows that critical thinking ability is not widespread in students and that many scored poorly on assessments that required them to recognize assumptions, evaluate arguments, and make inferences. 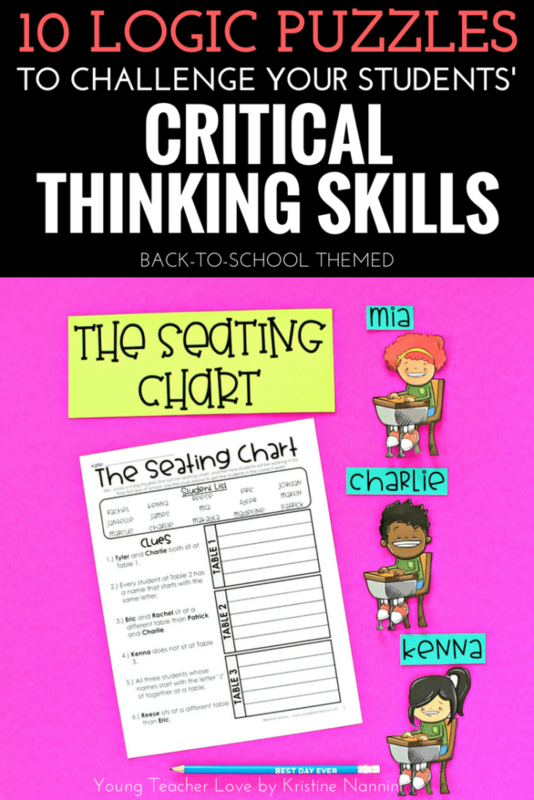 I have also seen this when my own students were faced with questions that asked them to infer, analyze arguments, and solve problems with a given set of rules. 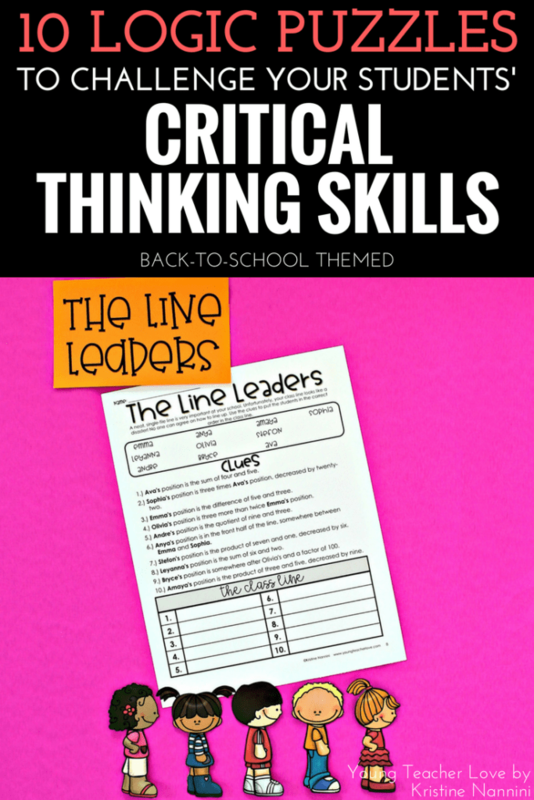 The good news is that through practice, students can develop the tools to think critically. 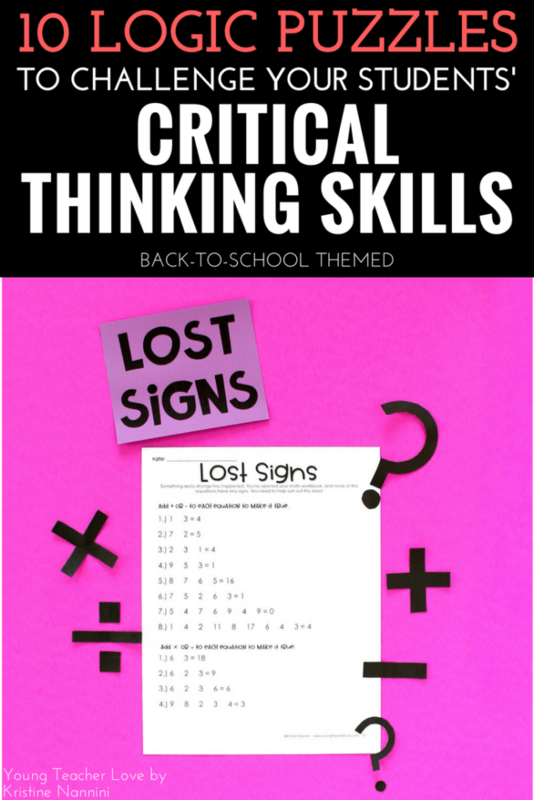 One way to improve this skill is through logic puzzles. 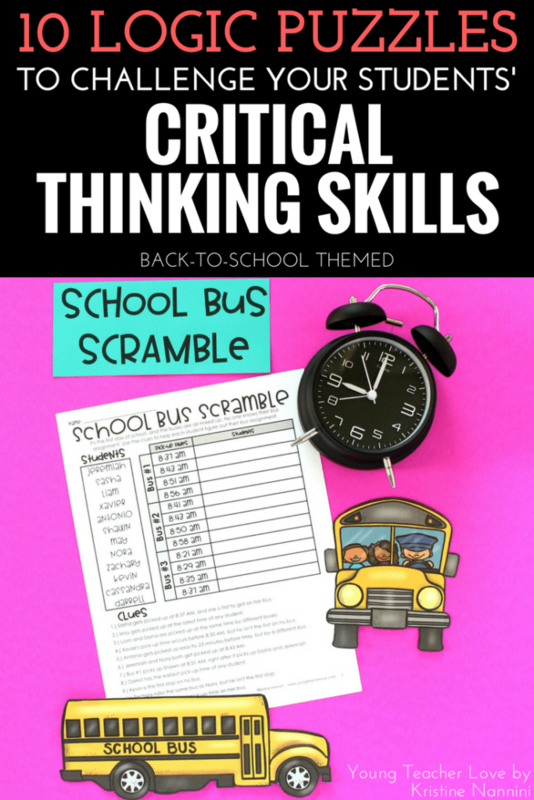 Logic puzzles are a great tool because they stimulate the area of our students’ brains that help them to reason and think critically. I get it. 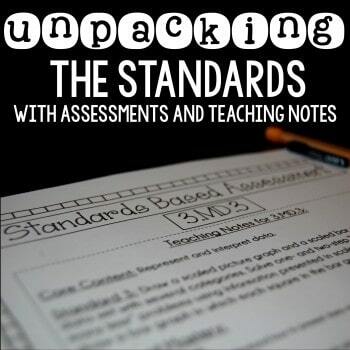 We barely have enough time to teach the required standards, let alone reinforce another skill. So, that’s why I want to share my Logic Puzzles and Brain Busters. 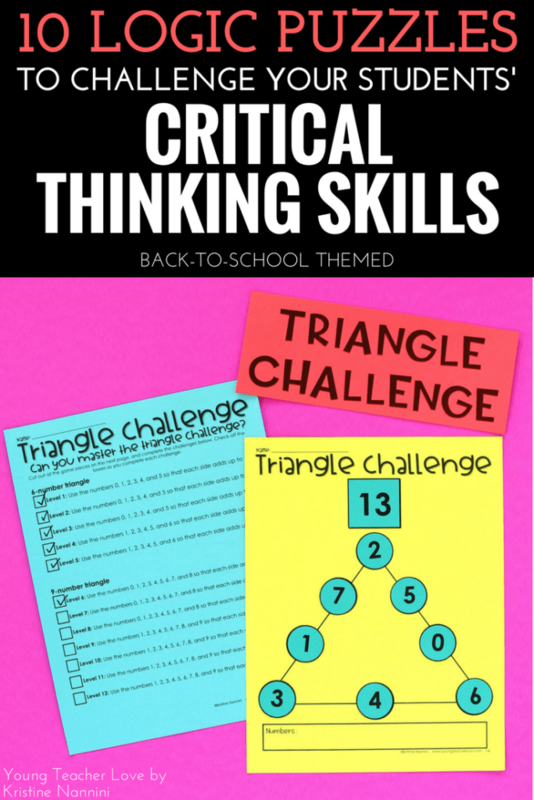 The great thing about this resource is that it’s cross-curricular. 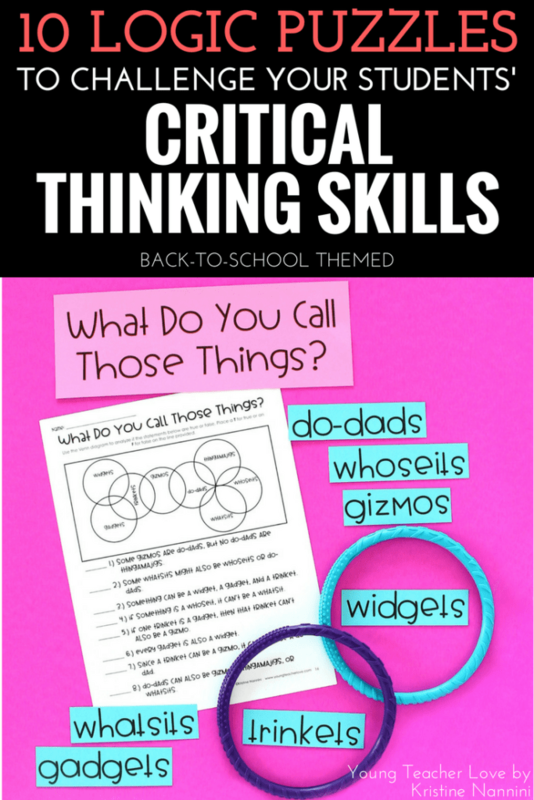 It will hit the important critical thinking and reasoning skills (inductive, deductive, problem solving, etc. 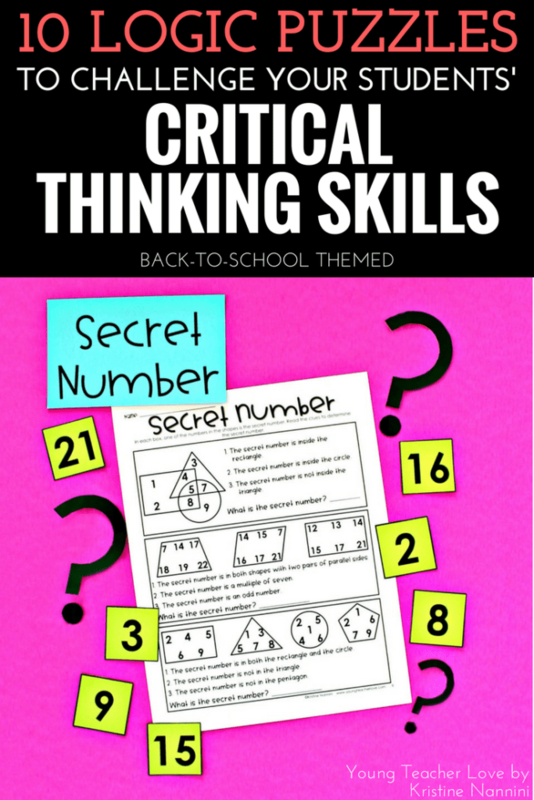 ), and also reinforce important math concepts. 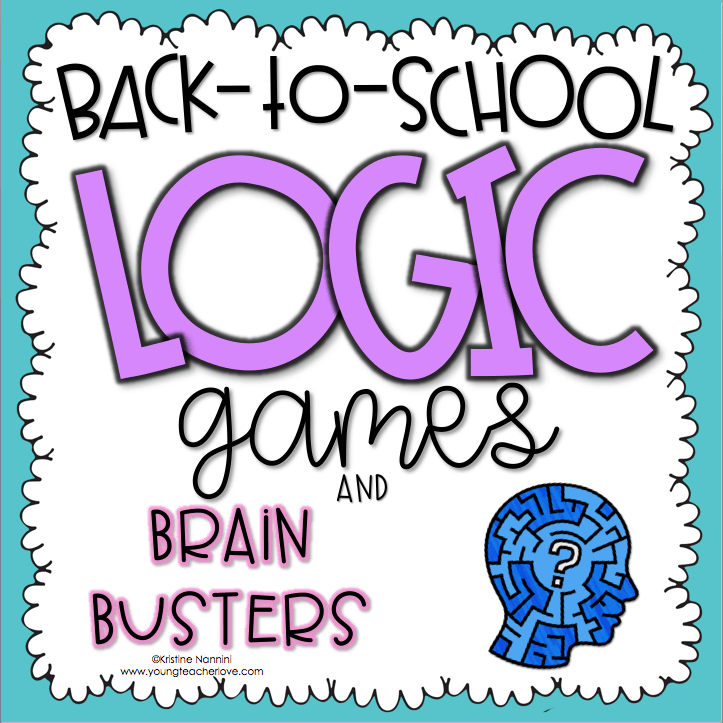 My Logic Games and Brain Busters include a variety of activities to rev up your students’ brains. A few puzzles contain pure logic-based clues that don’t require any prior knowledge. 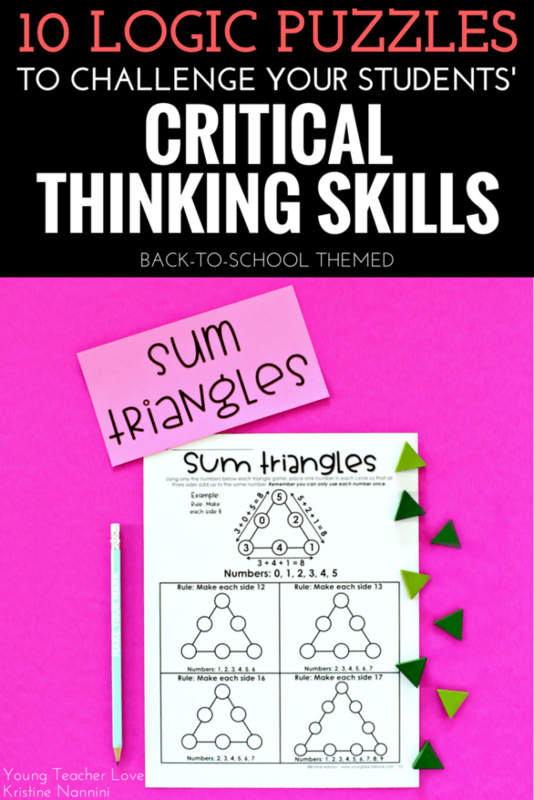 Other puzzles require your students to apply their knowledge of addition, subtraction, multiplication, division, geometry, digital time, and algebra along with their reasoning skills to solve problems. 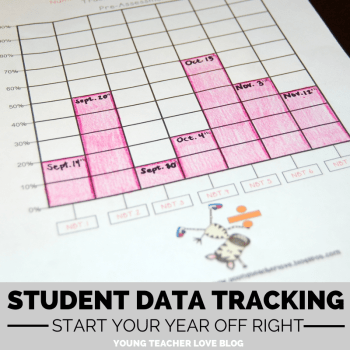 They are perfect to pass out to your students at any time throughout the year. 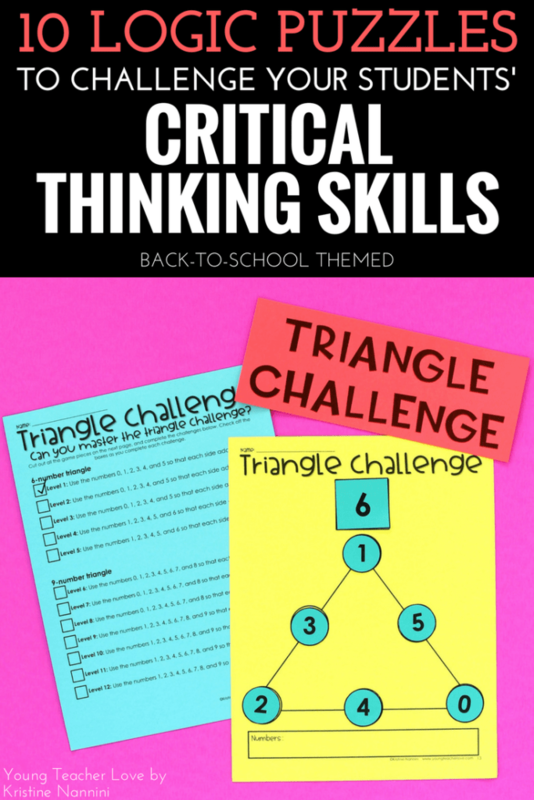 These logic puzzles will require your students to apply a combination of inductive and deductive reasoning that is challenging enough to stimulate their thinking, but straight-forward so that they will be successful. Click HERE or the button below to check them out. 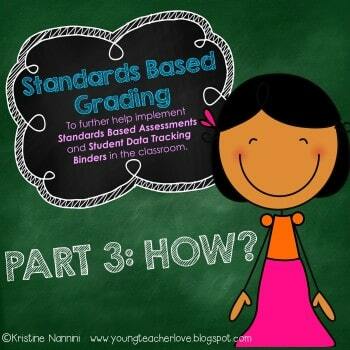 You can download the preview to see the entire resource! 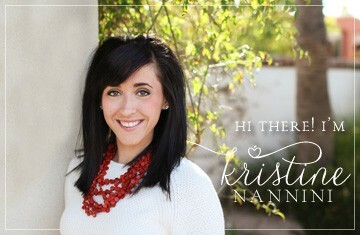 Love these fun and cute quiz. Thank you for sharing!! Gonna let my kid try it!